I really enjoyed high school. I hung out with Carol Egan, Judi Fracchia, Bobbie Venturi, Marilyn Olivieri, and Patti Shock among others. We had a car club called The Schemers. In high school I dated Bob Sage and Tom Brackett. I was in Mr. Smith's typing class. I usually got A/D. I was very fast and accurate on the typewriter. I grew up in the Rockridge District where both of my parents still live. I also attended Rockridge Grammar School and Claremont Junior High which will be 100 yrs. old in 2013. Sherry Larsen Beville has a birthday today. 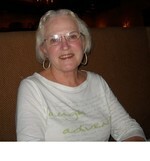 Sherry Larsen Beville has left an In Memory comment for her Profile. Judi was my maid-of-honor in 1961. We remained friends throughout. 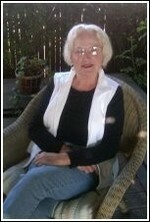 She had a wonderful husband and daughtrer, Lew and Jennifer and two young grandchildren. Several graduates including Judi have met yearly during the holiday season in December. Judi was a superb cook. I will miss her. Sherry Larsen Beville has a birthday today. New comment added.